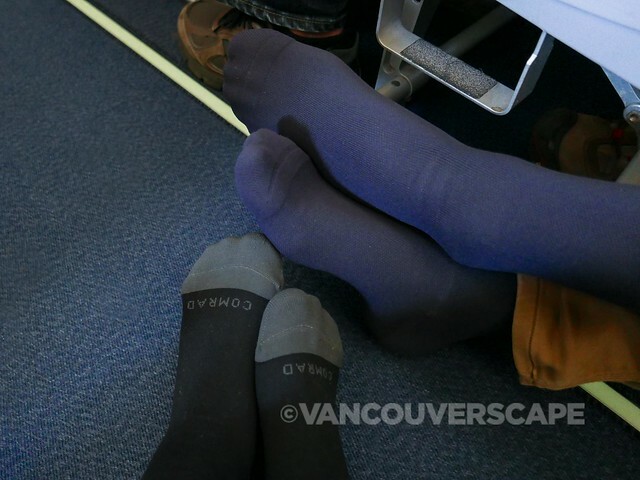 I’ve heard so much about compression socks for flying but until now hadn’t thought to try any out. 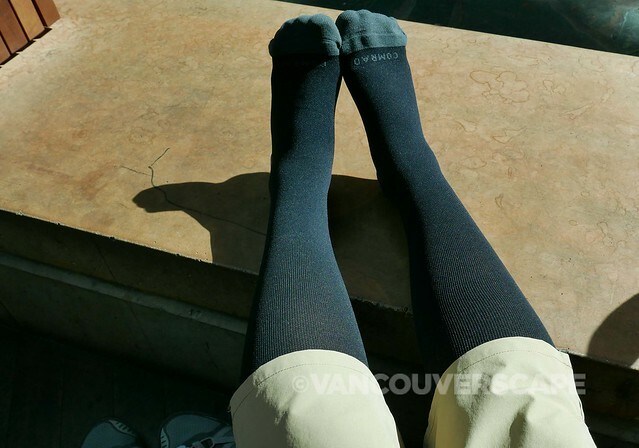 What caught my eye recently while researching online were these cool Comrad compression socks that combine style with comfort and lots of benefits, not only for travel. The Santa Monica-based online business has had a hard time keeping up with demand too. We chose a few designs in medium (women, 7.5-11.5; men, 6-10) and large (women, 11+; men, 10-13) to see how they’d perform on a couple of international flights earlier this month. The fit is meant to be a bit tight; as a result you may find your legs pulse a bit. That’s the increase in circulation resulting from the compression. Post-flight, our legs were neither swollen nor tired. The tighter fit of compression socks still allows for breathability while the sensation of keeping our legs and muscles compact keeps the blood flowing. Not only are the socks designed for reducing soreness, swelling and pain while on the road, but they also keep your feet energized and supported while at the office, while exercising, following workouts — even helping women relieve swelling during pregnancy. If you’re prone to muscle soreness after cardio workouts, it’s recommended that you wear the socks for a few hours to improve recovery. Likewise, if you tend to get muscle fatigue during cardio exercise, you can wear them while exercising to help reduce soreness. Comrad’s socks are produced using a naturally odourless, antimicrobial blend of real silver. The cushioned toe and heel add comfort and shock-absorbency to your feet. In keeping green, the company uses recyclable packaging and 80% of all water used to dye their yards gets recycled via reverse osmosis, so you can purchase these without additional strain on the environment. Their current unisex collection is priced at USD $18 to $21, includes stripes, solid colours in varying combinations, and dip dye (light grey to black and light pink to red). If you order two or more pairs, shipping is free. Comrad offers a 30-day risk-free guarantee in case the fit is too tight or you’re not happy with them. After all, feet have gotta be happy! 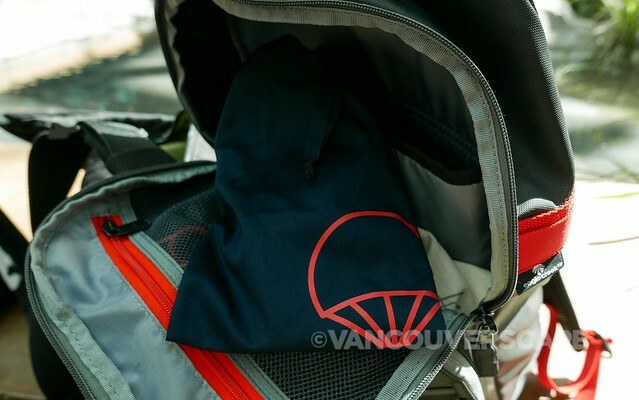 They also come in a protective cloth drawstring bag, great for popping into your carry-on, briefcase, messenger or gym bag. Visit Comrad online for more info/ordering.